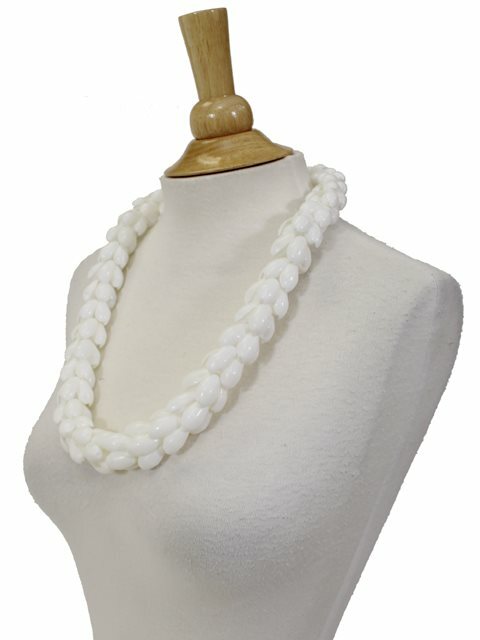 This Braided White Bubble Shell Lei has a unique design in approximately 27.5 inches (70 cm) in length and finished with a pearly shine. Very unique necklace / shell lei! I treasure it and will wear it on special occasions. It’s truly beautiful.